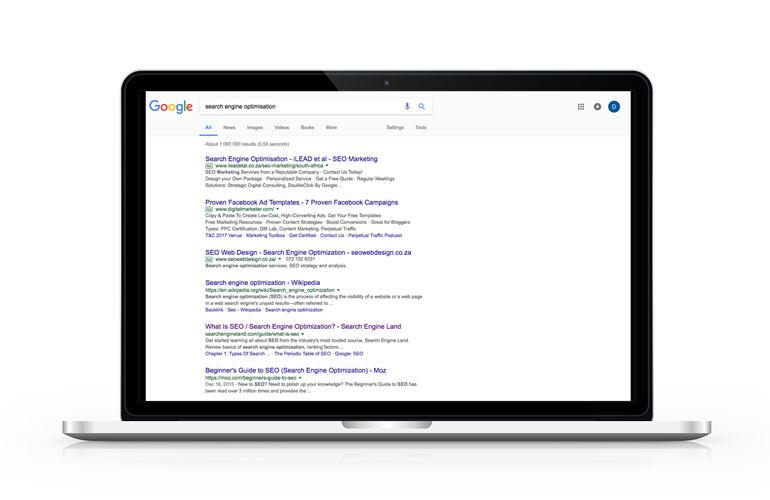 Google Adwords will get your website noticed. Get an effective Google Adwords campaign to drive traffic and potential leads to your website. Further improve this with Facebook and other Social Media Marketing. We'll bring traffic and clicks to your website - that's for sure! Packages are available in Month to Month or 12 Month Contract options. These packages are for clients who wish to drive traffic and potential business leads to their existing website. If you don’t have a website, please consider choosing one of our 24 Month 2 in 1 packages which includes a digital marketing campaign and a professionally built website to ensure your website is bringing you traffic from day 1. Effective results will be seen from even our smallest package. Choose one that suits your business goals and we’ll do the rest. Take a 12 month contract and save thousands per year on your digital marketing spend. Or, simply pay month to month at normal rates. Cancel any time on month to month or on a 12 month contract and only be accountable for any discounted amounts to date. Per Month for 12 Months, Excl V.A.T. * The percentage of clicks that convert to calls or emails varies greatly depending on the quality of your website, it's content, SEO quality, your industry and many other factors. We'll bring you the traffic and the clicks, that's for sure. SEO (Search Engine Optimisation) is the process of optimising the content in your website so that even if you aren’t running a digital marketing campaign, the content is prepared to take advantage of how search engines work in order to get you the best results from “organic”, “natural” or “normal” searches. This is what truly helps your website to organically rank highly in search engine results rather than to appear as an advert. Effective SEO along with a Digital Marketing Campaign will turn your website into a lead generating machine. It’s up to you! Sign up now to get started with SEO optimisation on your website. I want a Month to Month Digital Marketing package. No ThanksMonth to Month ContractsStarter @ R1650 + VAT p/m (Month to Month)Silver @ R2699 + VAT p/m (Month to Month)Gold @ R5299 + VAT p/m (Month to Month)Other OptionsI want a Custom Package - Please contact me. I want a 12 month Digital Marketing package. No Thanks12 Month ContractsStarter @ R1500 +VAT p/m (x12 Months)Silver @ R2499 +VAT (x12 Months)Gold @ R4999 +VAT (x12 Months)Other OptionsI want a Custom Package - Please contact me. Should we contact you about SEO on your website? Nothing SelectedYes. Please contact me to discuss SEO for my website.